Keeping your carpet rugs clean can be a real challenge. Firstly, consider their purpose; they are put onto our hard floors and carpets in order to protect the surface underneath. This, however, means that are thrust to the forefront to take the brunt of our homes dirt and wear. This can, as well, be magnified if your home has pets. 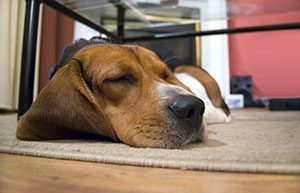 It is more than likely that if your pet has a favourite place that it will be laid on top of your most prized rug. This means that their soiling will be quicker. They will also be affected by the oils from your pet’s fur. All of these influences mean that your rugs are likely to start looking unsightly much faster than other areas. For this reason, it is really important that cleaning routines are both regular and intensive. We offer advice to our clients on what are the best products to use. This will be combined with cleaning techniques and stain removal processes. Being equipped with this information will leave you with the ability to confidently deal with your rugs individual requirements. The approach to a general clean of your rug will be different to the ways in which you will target an individual stain. The best advice is to ensure that no residue is left on the rug after cleaning. If there is residue left from cleaning solutions then the fibres will quickly re-soil and the area that you have cleaned will become unsightly once again. If you would like to enquire about our rug cleaning services please call today on 0800 695 1118. Achieve the best possible clean rug with our help!